The Quest For The Perfect Shirt Dress. For me, nothing signals the onset of spring quite like throwing on the perfect shirt dress. There’s not a warm weather season which passes without my annual hunt for the definitive shirt dress coming into play. My problem to date has been I never seem to snag the right one – that is until this season, where the new slew of shirt dress offerings landing in stores may well be signalling the end of my long crusade. Over the years I’ve come close on my quest. 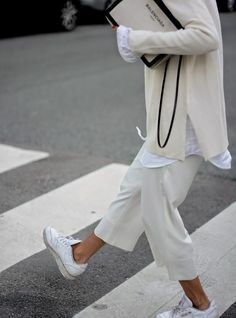 In my head, the perfect shirt dress is plain cotton poplin (or I could stretch to a stripe) with a straight hem which hits the leg at a flattering point around the lower calf. 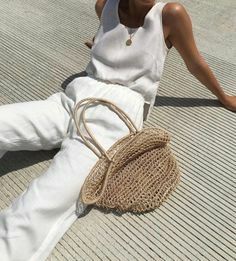 The ideal item would preferably have a waist-cinching belt (or the ability to add one without making it look out of place), and maybe a few utility pocket details for good measure. Or of course the dress equivalent of nirvana – side pockets! My research mission has been pretty thorough – last seasons’ Theory short-sleeved number nearly hit the mark and the year before both J.Crew and Club Monaco had some cute choices. But still, I find the need to soldier on in my mission. 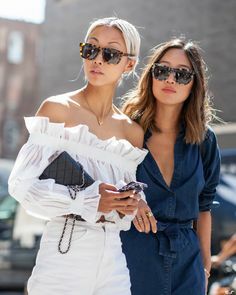 So imagine my delight this upcoming SS19 as we are about to be blessed with not only the shirt dress as a seasonal must-have trend but also a bunch of them are hitting my exacting criteria. I picked this shirt dress up from Massimo Dutti a few weeks back (which I’m slowly finding is becoming my go-to brand for slightly smart yet chic choices these days). I’ve paired it here with J.Crew animal print belt, Gucci heels and & Other Stories beaded bag. So what to look out for in your shirt dress? Firstly most shirt dresses, by default, come with a collar and a load of buttons down the front, and typically without a seam at the waist. The button fastenings down the front are amazing at giving the illusion of lengthening your body which is a dream if you happen to be, like me, on the short side. Some come with a belt which is great for a little waist cinching and silhouette enhancing. This season all things utility are hot, so if you can find one in a khaki with a bunch of utility pockets you’ve hit double trend paydirt. Ultimately it comes down to styling your shirt dress to best show off your body shape, so if you’re not quite sure where you are in the body shape stakes pop over to our Start Here page to find out more. The Perfect Shirt Dress… where to shop. Now although I’ve spent many a year on my pilgrimage looking for ‘that’ dress which has been wafting around in my head, that’s not to say that there aren’t some other contenders for my attention in the shirt dress market. This season I’m also quite partial to anything floral or animal print, as well as dresses in diaphanous materials like chiffon or silk which look pretty damn good in a dress form when paired with a cute denim jacket and sneakers or a tailored blazer and heels. So what else is out there for all you fellow shirt dress crusaders? Here’s an edit of some of my favourites. Click the images to shop. #AffiliateLinks used.